The controversial cable titan was so angry over a Web site parodying his show that he sued—and lost. The site's owner talks to The Daily Beast about how much he enjoyed the battle. Few hosts go after their targets harder than Glenn Beck, but apparently he throws punches a lot better than he takes them. This week, Beck lost a legal battle to take down a parody site devoted to mocking the talk-show host’s use of innuendo and rumor in going after his political enemies. The domain name that provoked his ire was GlennBeckRapedAndMurderedAYoungGirlIn1990.com, whose main page pledged to “examine the vicious rumor” alluded to in the site's title. “If he hadn’t gone after us, it probably would have quickly died out,” Eiland-Hall said. The site's owner, Isaac Eiland-Hall, a 34-year-old computer-science student in Panama City, Florida, told The Daily Beast that the name was derived from a running joke on news site Fark.com's messageboards, which compared Beck's style to a routine by comedian Gilbert Gottfried at a Friar’s Club Roast in which he repeatedly denounced the nonexistent rumors that Bob Saget " raped and killed a girl in 1990." In repeating the rumor, of course, Gottfried succeeded in spreading it—thus roasting his fellow comic. “I've long felt that Beck uses tactics like I satirized on the site,” Eiland-Hall told The Daily Beast in an email interview. He says he found “particularly egregious” an incident during Beck's CNN career in which he told Rep. Keith Ellison (D-MN), a Muslim, that he longed to challenge the congressman by saying: “Sir, prove to me that you are not working with our enemies." • Watch Crazy Glenn Beck Clips • Benjamin Sarlin: The Real War on Fox News • Lloyd Grove: Shep Smith, Fox News' Man of Reason The site, which launched at the beginning of September, took off quickly, with 120,000 hits in its first 24 hours, Eiland-Hall said. It was a joke lost on Beck, however, whose lawyers filed a formal complaint with the World Intellectual Property Organization within days of the site's opening, insisting it be taken down as a trademark violation. Beck’s legal complaint pushed the story into the news and caused the site’s traffic to spike, Eiland-Hall said. “If he hadn't gone after us, it probably would have quickly died out,” he said. Eiland-Hall joined the battle, hiring First Amendment lawyer Marc Randazza to help argue his case. Citing the landmark free-speech case Hustler Magazine v. Falwell, Randazza argued that the site was a clear parody and that it was “absurd to imagine a user who would be confused about whether or not Beck is an owner, author, sponsor, or endorser of the site.” Beck’s lawyers argued that the site was registered in “bad faith” and that by using his name in the domain, users could be confused whether the site was operated by Beck himself. (A spokesman for Beck declined to comment for this article). Eiland-Hall told The Daily Beast he found a certain delicious irony in Beck’s challenge to his site. WIPO is, after all, a part of the United Nations and governed by international law, and railing against a “one-world government” conspiracy among international organizations to undermine the U.S. Constitution is a major part of Beck's show. On October 29, the WIPO denied Beck's complaint, thus handing a previously unknown aspiring meteorologist a legal victory over one of the most popular media figures in the country. But in a final twist, Eiland-Hall voluntarily handed over the domain name to Beck himself about a week after the decision, explaining in an open letter that his only intention in fighting back against the TV host's legal complaint was “to help preserve the First Amendment.” The domain name was quickly taken down after being transferred to Beck, but the original site can still be viewed at an alternate address, gb1990.com . 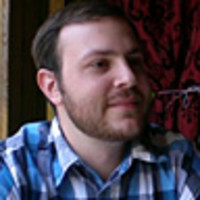 Eiland-Hall told The Daily Beast that he had already wanted to scrap the wordy domain name for some time, but was afraid that doing so under legal pressure “would have contributed to a chilling effect on free political expression.” He added he already planned to give the site name to Beck if he won the case as early as September. Having briefly become a viral sensation, Eiland-Hall said he plans on keeping the pressure on what he calls “extremists on both sides of the liberal/conservative spectrum” with more Internet projects in the future.